On 1 February 2019 the National Information Security Standardisation Technical Committee published the draft Information Security Technology – Personal Information Security Specifications for public comment. The consultation period will run until 3 March 2019. The specifications now include the following clause: "[a] personal information controller shall not force the personal information subject to accept the collection requirements." The exceptions regarding authorisation and consent by personal information subjects have been revised. A "personalized display and exit" mechanism has been added. Rules concerning the merger of personal information have been introduced. Management requirements concerning third party access to platforms have been added. The importance of data protection officers and departments has been promoted. The requirements regarding the reporting of "personal information security events" have been refined. Requirements regarding the recording of personal information processing activities have been added. Detailed rules have been added regarding how a personal information subject's "right to choose to agree" can be safeguarded. 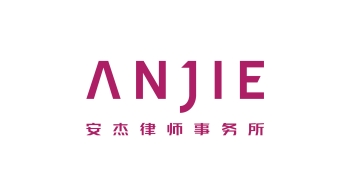 For further information on this topic please contact Samuel Yang or Yang Chen at AnJie Law Firm by telephone (+86 10 8567 5988) or email (yanghongquan@anjielaw.com or chenyang@anjielaw.com). The AnJie Law Firm website can be accessed at www.anjielaw.com.